The continued advances of the Islamic State of Iraq and Syria (ISIS or ISIL) on Sunday brought the radical Sunni movement to the borders of Jordan and consolidated its control over al-Anbar Province. The Iraqi military continued its rapid collapse into uselessness, losing all the country’s military border outposts to ISIS. There is now a huge Sunnistan stretching from Aleppo to Tikrit and from Mosul to the Jordan border. Can little Jordan withstand this onslaught itself? Will the Salafis in Zarqa rise up in support of ISIS? The country is straining under the stress of hosting hundreds of thousands of Syrian refugees and tens of thousands of Iraqis, and bracing for another wave of Iraqis. The Jordanian military is professional and good fighters, but it is not clear that it can easily deal with urban revolts if they were to occur. Another way of putting it is that a notorious would-be al-Qaeda affiliate that now own substantial real estate is a day’s drive from Israel’s borders. Will it reach out to the Palestinians, with implications for Israeli security? The beach at Tel Aviv only seems a long way from al-Walid, the Iraqi border town that fell to the Sunni radicals yesterday. The inability of the Iraqi military to mount a riposte to this rapid loss of territory raises questions about when exactly it can hope to begin pushing back effectively. Not since the Mujahidin lost Afghanistan to the Taliban in 1994-1996 have we seen this kind of rapid territorial advance for a radical vigilante movement in the region. US policy is self-contradictory. In Syria, the US is attempting to undermine the Baath government of Bashar al-Assad, a regime guilty of crimes against humanity. Since al-Assad’s most effective opposition is ISIS, the US is de facto an ISIS ally in Syria, just as the Reagan administration was an ally of al-Qaeda in Afghanistan in the 1980s. In Iraq, the US tilts to the central government in Baghdad, dominated by Shiite religious parties, and so is a dire enemy of ISIS. It may well be that the US will need to back away from trying to overthrow al-Assad for a while, to allow that regime to try to chase ISIS from the Syrian north. However wicked the Syrian Baath Party is, it is no threat to the US. ISIS is. One of the reasons for US hostility to al-Assad is his alliance with Iran and with Lebanon’s Hizbullah. But both now seem much less threatening than ISIS, an organization guilty of systematic terrorism on a vast scale, involving bombings of thousands of women and children, and the leader of which has explicitly threatened the United States. Secretary of State John Kerry has already intimated that the US is willing to consider forms of cooperation with Iran in Iraq, though not joint military action. 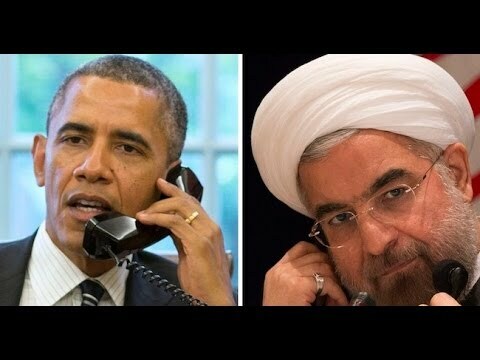 If ISIS is your biggest headache, then enlisting Iran’s help is a no-brainer. But it is no good to have Iran intervene in Iraq in a Shiite supremacist direction. That is, any joint US-Iran cooperation against ISIS will require an adjustment of Iran’s policies in Iraq, which gave us Prime Minister Nouri al-Maliki and his Shiite-sectarian approach to governance, which in turn cost him a third of his country. The Iranian Revolutionary Guards Corps made the mistake of assisting Shiite militias with ethnically cleansing Baghdad of Sunnis in 2006-7, and those chickens are now coming home to roost. Al-Maliki has to go, and the Baghdad government has to become inclusive of Sunnis (if it is not already too late for that), but it is not sure that Iran’s Supreme Leader, Ali Khamenei, is willing to make that adjustment. For this reason, Khamenei lashed out Sunday rejecting US interference in Iraq and maintaining that the latter’s Shiite clergy and its (Shiite-dominated) government can handle the crisis. This allegation is transparently untrue and a piece of wishful thinking. More practical heads in Iran are surely beginning to worry about the great big geostrategic barrier that has been erected between Iran and Syria by ISIS, which has severe implications for Tehran’s ability to resupply Hizbullah in Lebanon. These cooler heads are seriously thinking about cooperating with the US against the al-Qaeda types. Any such rapprochement of the US and Iran over Iraq policy is not only unwelcome to Khamenei but also to the far-right ruling Likud Party in Israel. Prime Minister Binyamin Netanyahu, who has several hundred nuclear warheads and wants no competition in the region, is absolutely convinced that Iran is attempting to develop a nuclear weapon, despite all the evidence pointing in the opposite direction, especially during the past year when Iran has mothballed most of its stock of uranium enriched to 19.75%. Iran’s uranium stock now consists of 3-5% enriched uranium suitable as fuel for its nuclear reactors. Even the 19.75% enriched uranium was intended for Tehran’s medical reactor to make isotopes for treating cancer. But Netanyahu’s stated belief is that Iran is going for a bomb. And he is afraid that if Iran comes to be seen as a de facto ally of the US against a renewed and dire al-Qaeda threat, that Washington will cut Iran some slack on its nuclear enrichment program. Such things have happened in the past. The Reagan administration winked at Pakistan’s actual nuclear weapons program in the 1980s because Reagan needed Pakistan as an ally in getting the Soviets back out of Afghanistan. By 1998, Pakistan had the bomb. Both Khamenei and Netanyahu are men of the twentieth century, applying old premises and paradigms to the 21st century. Both should be more alarmed than they seem about ISIS taking over northern and western Iraq as well as much of northern Syria. ISIS is a more potent threat both to Israel and to Iran than the latter two are to each other. If these two obstructionists have their way, an effective international response to ISIS will be forestalled, with grave implications for the Middle East and the world.